Before we start, I should warn you this is a review of the box as an overall service and not its contents. 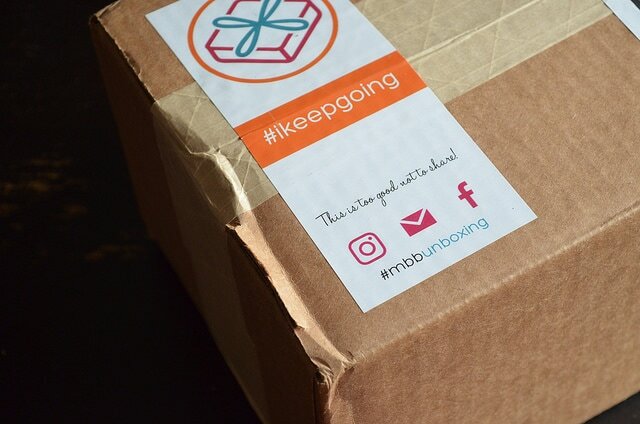 You’ll see what was in my box, and you are welcome to check out those products, but I’m not going into detail about any one product or item! I tell you, there is a box for everything. There’s a box for people who want to eat better. There’s a box for folks who are into make-up. And one for fragrances. There’s a date-night box that leads you and your significant other through a DIY romantic experience. I’m pretty sure there’s a few NSFW boxes. Well now…there is a box for us. Yes. This is way overdue. So let’s talk about it. What is My Bariatric Box? 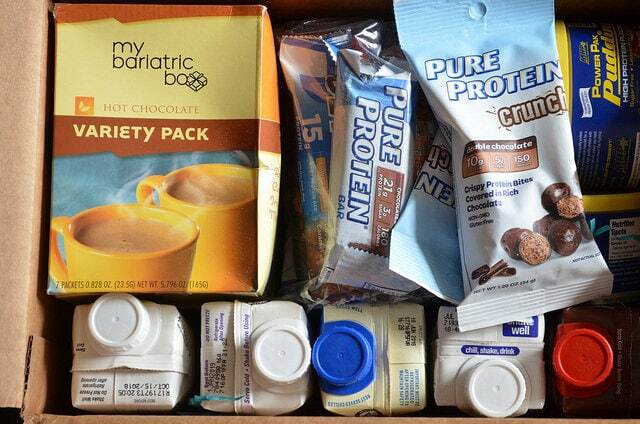 My Bariatric Box is a monthly subscription box that delivers weight loss surgery protein shakes, bars, snacks and other goodies direct to your door every month. So Nichelle is the mastermind behind this box service and she herself is a bariatric post-op. She also knows the struggle of finding a variety of products that are tasty, won’t kill you with the sugar, and have decent protein counts. And for some reason, in her grand benevolence, she decided that it would be her life’s mission to curate said products and conveniently ship them to post-op subsribers. So I got my box just after Thanksgiving. And the first thing I noticed is something that I think some of you will consider a HUGE selling point. The words “bariatric” and “weight loss surgery” do not appear anywhere on the outer box. NOPE! Now I’m as “out” with my surgery as a person can be, but I can appreciate how that is probably helpful to folks who are not. Instead of the word Bariatric, it says it is “MBB” (My Bariatric Box) and it still manages to be colorful and cheery). When you go to the My Bariatric Box website you’ll see that there are a number of subscription options for you to choose from. You can get a one, three, six or 12 month subscription. With the subscriptions longer than one month, you are pre-paying (so you’ll be billed all at once). Shipping is included in your subscription fee. We’ll talk about exact pricing in a moment, but if you are just itching to know, you can go here to see the full pricing. When I opened my box, I could tell right off the bat I’d gotten a “special” box. That happens sometimes with product reviews. Folks send me the best and the brightest of what they have! I appreciate that, but I wanted to point out to you that this is not a representative box because I didn’t want you ordering and thinking that all the stuff in this picture will come in your box. I’d gotten a few boxes last year when the service first launched and I can tell you that each box comes with about seven items and is generally a mix of protein shakes, bars, snacks and other neat little gadgets, such as the Ulla water reminder and a protein funnel that I guard with my LIFE! But still, here’s what my box looked like when I first opened it. And here’s a sampling of the kinds of stuff that was in the box I got. 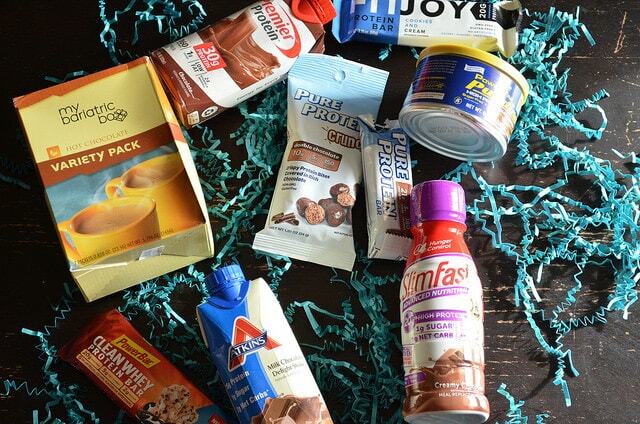 Some of this is stuff I’ve tried before (like the Premier Protein shakes that I have reviewed before) and some of it was completely new to me. Those crunchy Premier Protein things I didn’t even know existed! So that’s pretty handy. Ok so here’s the 4-1-1 on pricing. Again, you can visit their website to check everything out for yourself. a one-month subscription is $34.95. So now on to the harder part…value. The thing about this box is that I consider it more of a treat and the value on treats works out a bit differently than if we were talking about a daily necessity. 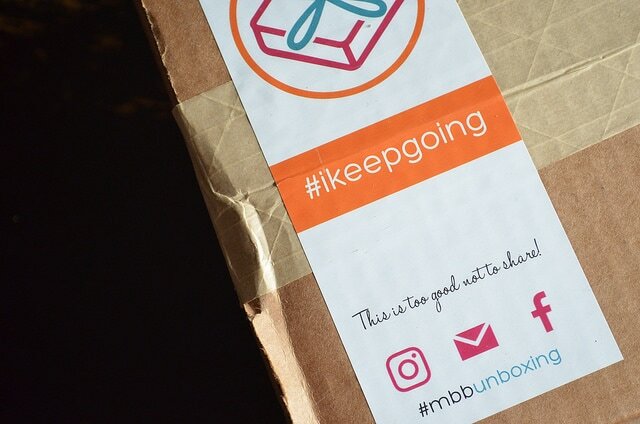 With a thing like a subscription box, I’m really looking for two things: surprise and delight. It delivers on both! Even if I get a few items I’d already heard of or tried, the ones I haven’t have been REALLY good. And Nichelle so far has worked hard to make sure there are really cool products in every box. For example, for the December box, subscribers got Livliga’s Just Right Set Bariatric! That’s a BIG deal! Going off of that measure, all-in-al, I’d say the box is a good value, especially if you are a person who struggles to find a variety of good products that are appropriate for bariatric patients. I also think this would make an AWESOME gift for a brand-new post-op who is learning their way in this lifestyle. What say you? Have you tried the box? Do you think it’d be a fun thing to get? Sound off in the comments! And if you want to check out the service, visit their website. And tell them Nik sent ya!